The Health for Life programme promotes an ethos and environment which encourages a proactive approach to developing a healthy lifestyle. 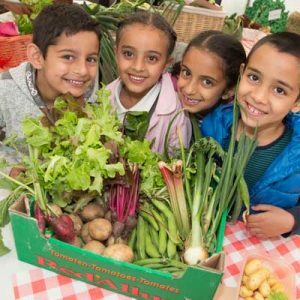 We focus on growing food, healthy eating and cooking, physical activity and try to involve families as much as possible in the process. 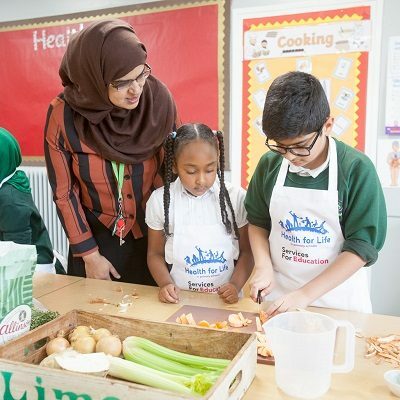 Education Advisers will work with you to use the curriculum to embed an understanding of how to achieve a healthy lifestyle. Was shortlisted as a finalist in two national Health and Wellbeing awards. 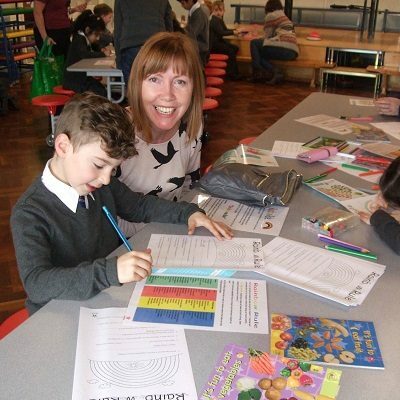 By working with lots of schools we are able to share good practice and give you lots of ideas and support. Find out which schools have taken part so far, here. 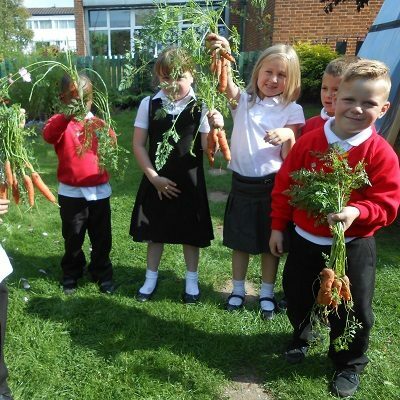 The objective is to engage pupils in growing food to increase their knowledge and understanding of its links with a healthy lifestyle. 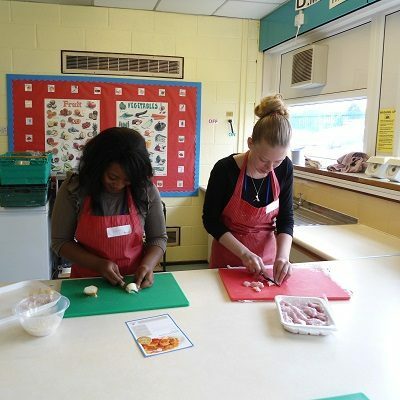 The objective is to make a measurable improvement in the diet of school children through cooking and healthy eating activities. 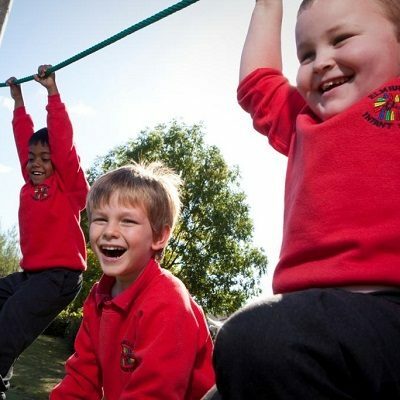 The objective is to make a measurable increase in the amount of regular physical activity of pupils in order to promote a healthy lifestyle. The objective is to actively involve parents and families in promoting and adopting healthy, active lifestyles. During the Autumn and Spring term there are four courses to be attended by an appropriate member of staff from each school. On average only 12 schools are selected each year to take part in the Health for Life in Primary schools programme in order to ensure that each school has a sufficient level of support. Therefore what we require from each school joining the programme is a level of commitment because if a school drops-out halfway through the programme their place can’t be offered to another school. Selected schools will take part in the programme for a period of four terms. During this time they will receive support to plan and implement the programme to suit their particular circumstances. Services For Education recruits schools in the summer term in order to start the programme the following September. Information is sent out by email, post and ebriefing to eligible schools. 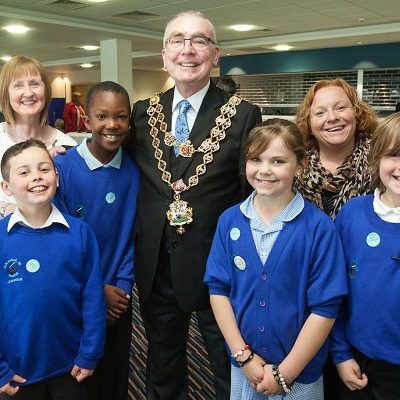 A Celebration Event is held half way through implementation phase – so in June – and is a way to share good ideas; motivate you all to continue and showcase the programme to VIPs – the Lord Mayor, MPs, people from Local Authority, Public Health and the next cohort of schools. At the end of the implementation phase there is an Awards Ceremony in the Banqueting Suite to celebrate and recognise the work that you have all done. We invite 2 members of staff and up to 4 children to each event to showcase what they’ve done that they are proud of. The programme is funded by Mondelēz International. Health for Life is delivered in Primary and Nursery schools by Services for Education and the community programme is delivered by The Conservation Trust. The Health For Life competitions at BBC Gardeners’ World Live are an exceptionally popular annual feature at the show. 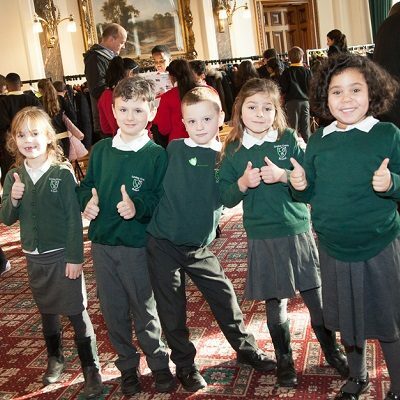 School Children can show off their creative flair, working as a team, with the satisfaction of seeing their final creations on display at the show, enjoyed by tens of thousands of visitors. 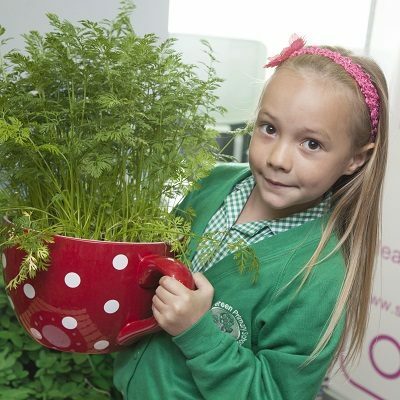 This competition is a simple, hands-on and fun gardening activity that can be enjoyed by pupils of all levels. The children will need to nurture and care for their plants, so that they grow and thrive in their container. world, ultimately picking one country to be the inspiration behind the design and planting of their wheelbarrow. Find out more here. The Teapot Plantpot Competition. 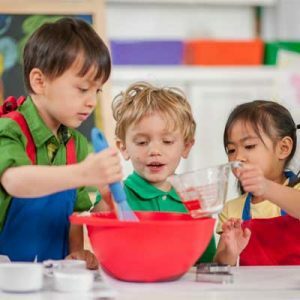 As individuals, or groups, the children should source old teapots which could work as planted containers and pick plants to grow in their pot, with support and ideas from their EYFS leader and/or family members. Find out more here. You can apply for the School Wheelbarrow Competition, using this form. Or for the Teapot Planpot Competition using this form. 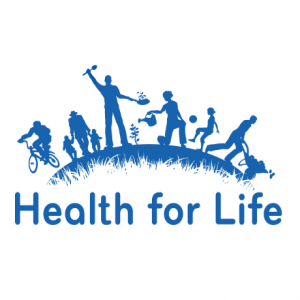 The main documents that you will need through the course of the Health for Life programme can be downloaded by clicking on the links below. 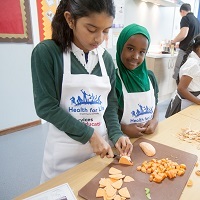 On 23rd October, our Health For Life schools took part in a cookathon to promote healthy living. The cooking is demonstrated by award winning chef Marcus Bean. You can watch the video and download the recipes, below. Download our Root Vegetable Recipe here. And the Homemade Bread Recipe here.